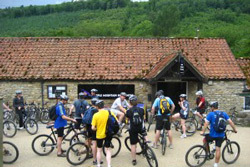 Rectory Farm is an ideal location for cycling and mountain biking enthusiasts. 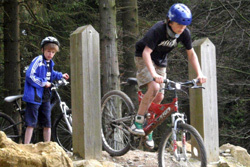 Dalby Forest - the mountain biking mecca - is a short distance away from Levisham. 8000 acres of woodland to explore and enjoy. Traffic free trails and facilities for novice to experienced mountain bikers. 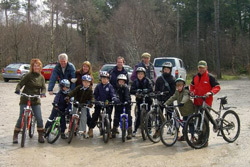 Bike hire for all the family at Dalby Forest from Dalby Bike Barn - bike service and spares too as well as bike sales. The Dalby Barn hire centre is based at Low Dalby at the heart of Dalby Forest. With easy access to all trails. Wide and gentle for families and those new to mountian biking. Rockin’ single track and Dixons Hollow jump park for the adrenaline junkies. 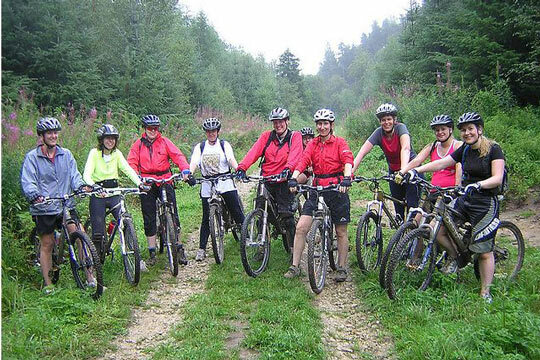 With 50km of traffic free trails Dalby Forest has facilities for all levels of rider and Dalby Bike Barn has a hire fleet to match. We're also very lucky Levisham is surrounded by lots of quiet country lanes for those who want to cycle "on-road". We have secure cycle and mountain bike storage available as well as a workshop should you need it. There is also a hot / cold wash off area for bikes and a drying room.